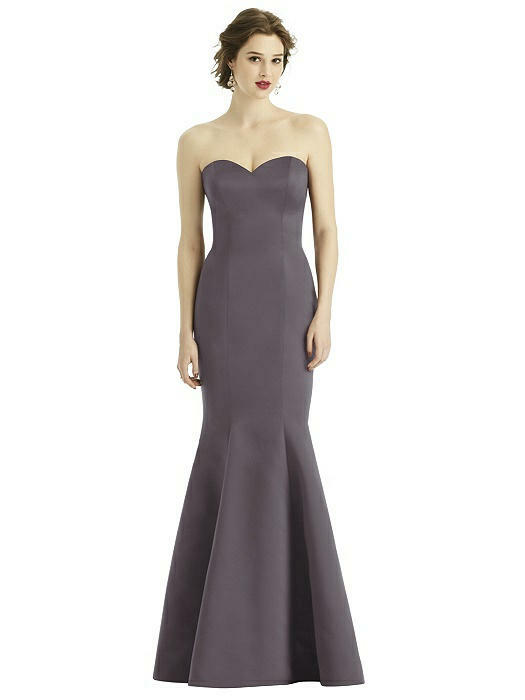 Designed to flatter, the sensual mermaid silhouette of this full-length strapless bridesmaid dress makes it an especially tasteful choice. With a sweetheart neckline, flared bottom, and optional spaghetti straps, it conforms to personal style and exudes a sophisticated look. Enjoy a smooth feel of duchess satin, and choose from a host of dynamic colors.